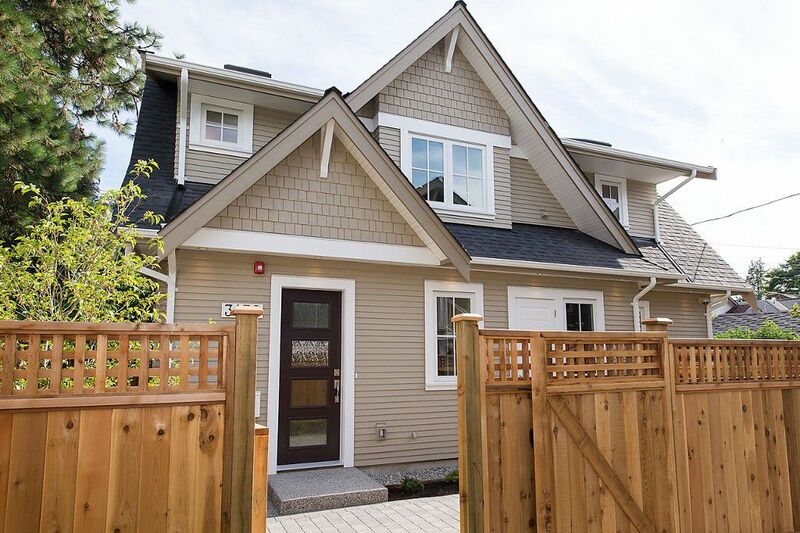 Gorgeous brand new 2 bdrm plus den Coach house. Main flr offers a very open plan with living,dining & lg beautiful kitchen with window over sink & lots of quality cabinets. Huge bonus with the convenience of an attached garage. Great for pa rking or storage.Upstairs features 2 bdrms & 2 baths plus an open landing good for a den/office or family room.Top quality finishings including quartz counters throughout, luxurious porcelain tiles, maple engineered hardwood fls, radiant in-floor heat,Kolbe windows & sliding door, solid wood doors & state of the art security system. Fenced private patio space perfect for outdoor dining. Fabulous location minutes to beach, 4th Ave & Broadway shops.